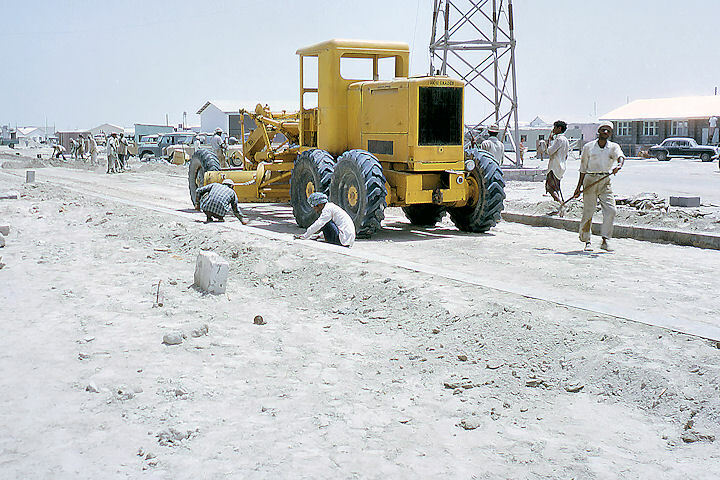 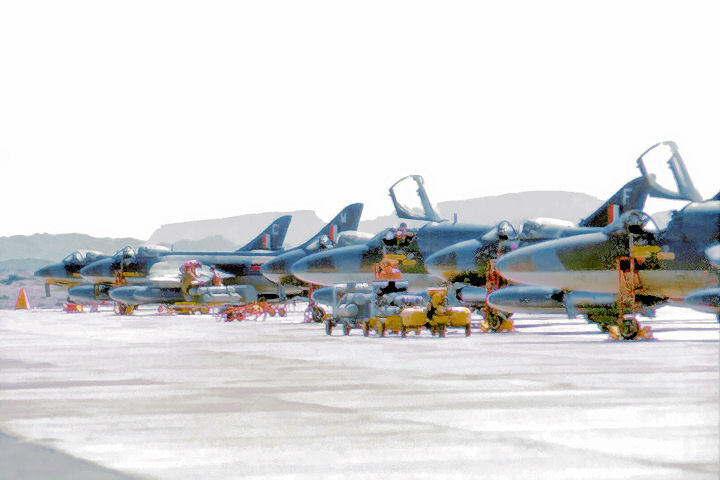 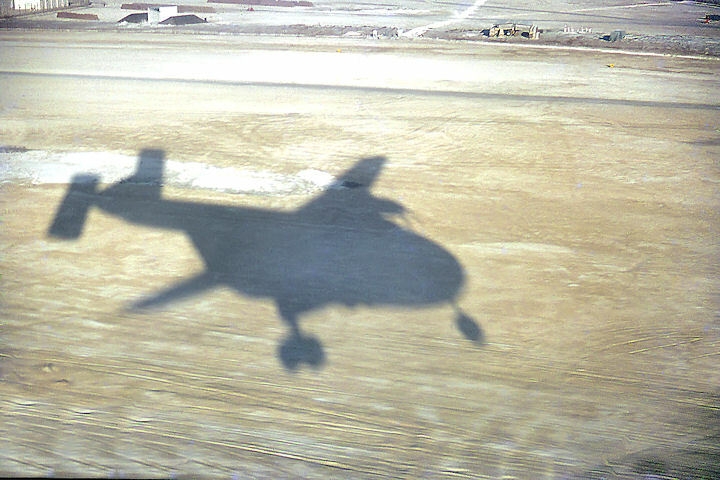 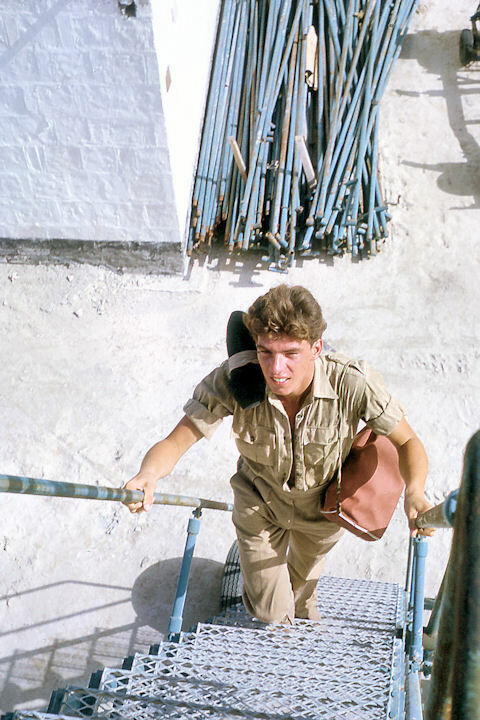 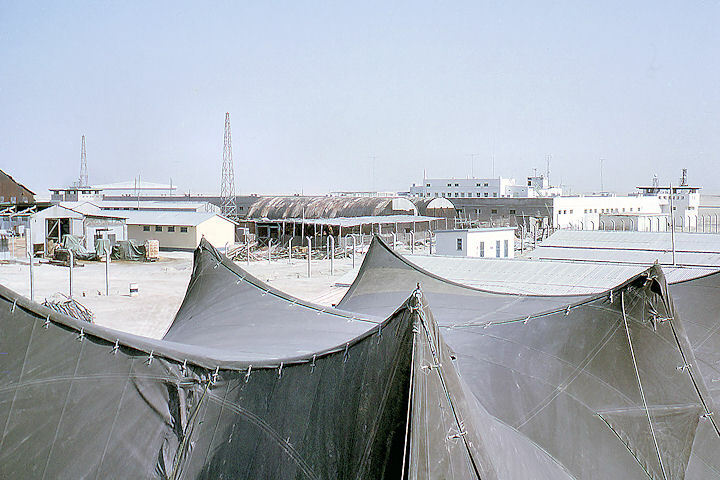 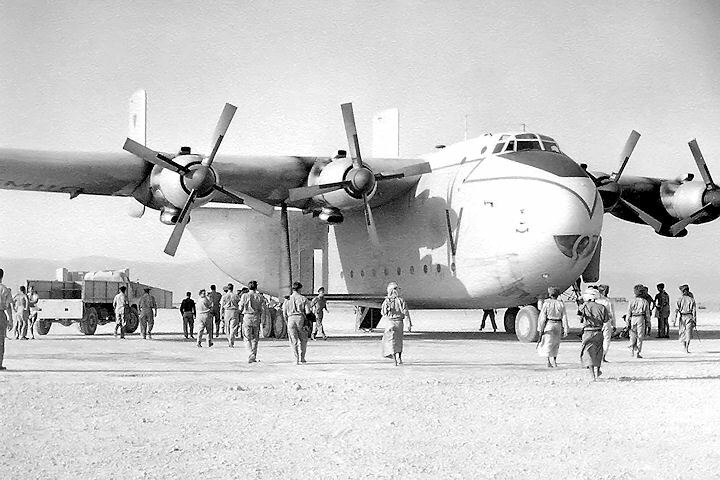 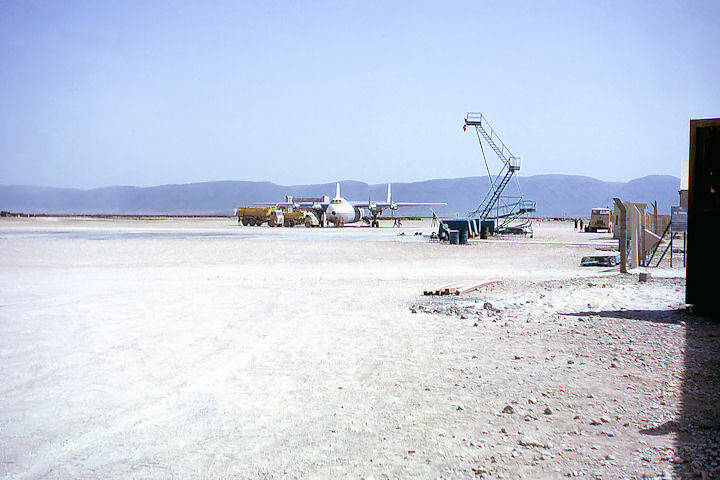 The following gallery contains images taken on the station by Tom Banks and the Author while awaiting the arrival of a 105 Squadron Argosy to fly members of 8 Squadron’s groundcrew, who had been dropped (not literally) off at Masirah by a Muharraq-based Beverley at the end of a two-month detachment, back to Khormaksar. 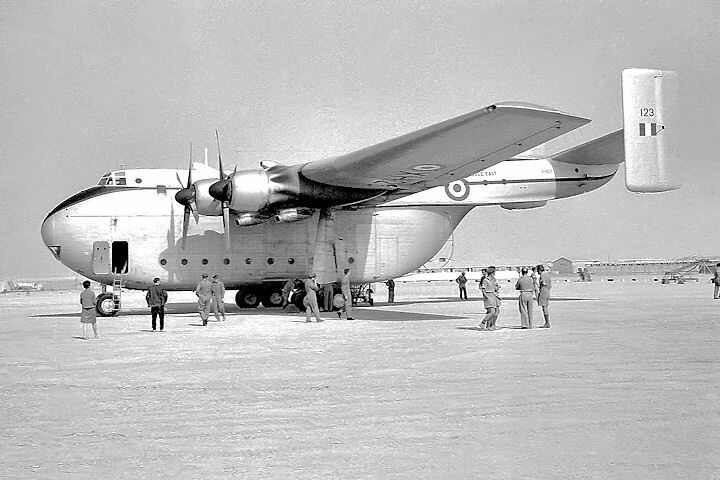 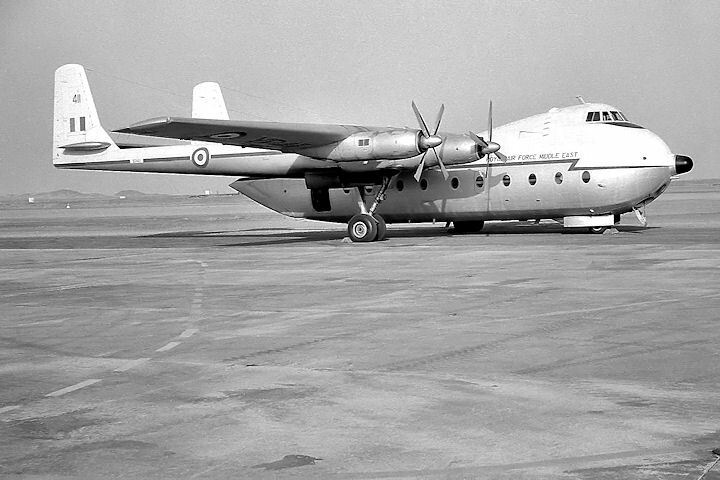 The Beverley was scheduled for a para-drop back at Muharraq and was unable to take the airmen all the way down. 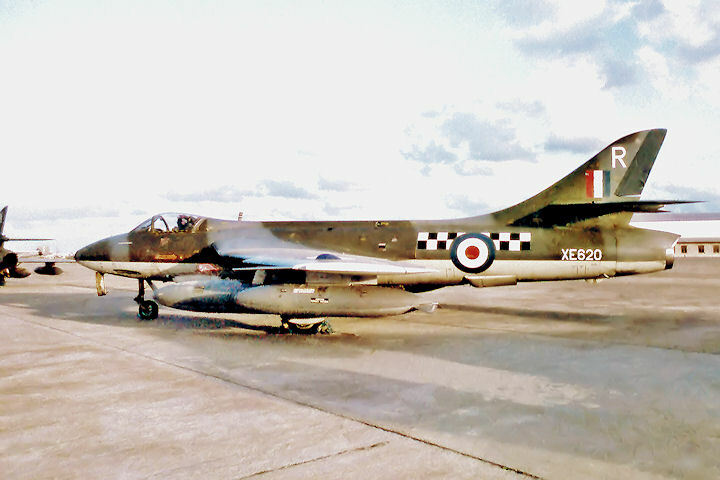 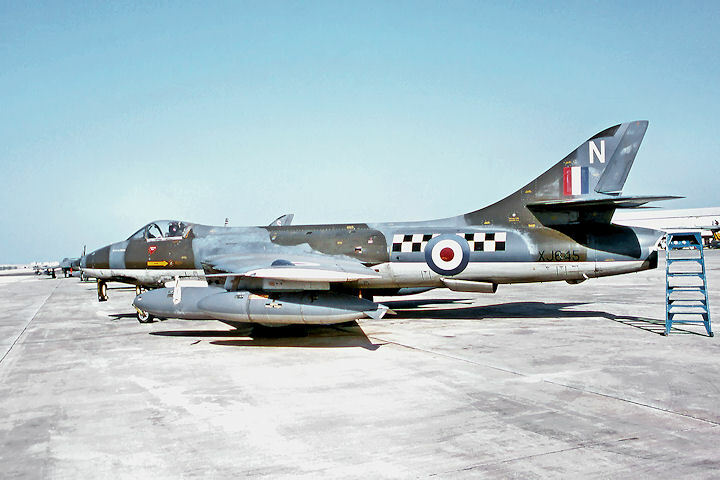 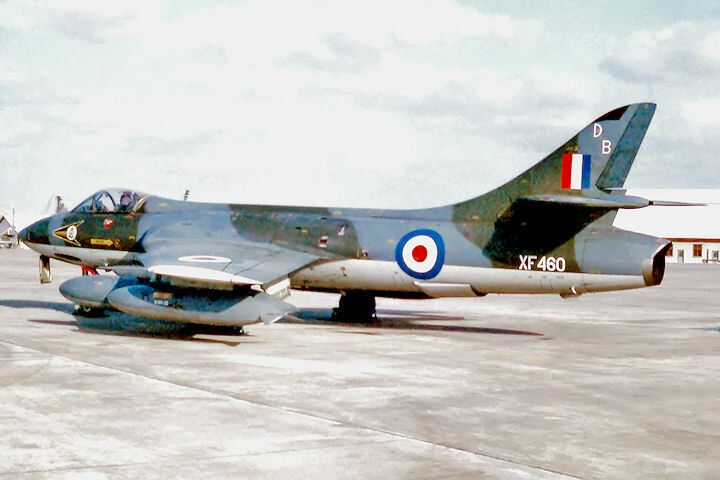 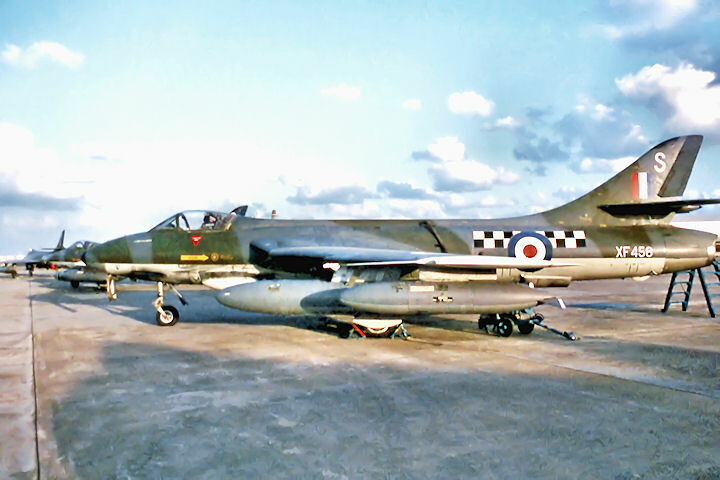 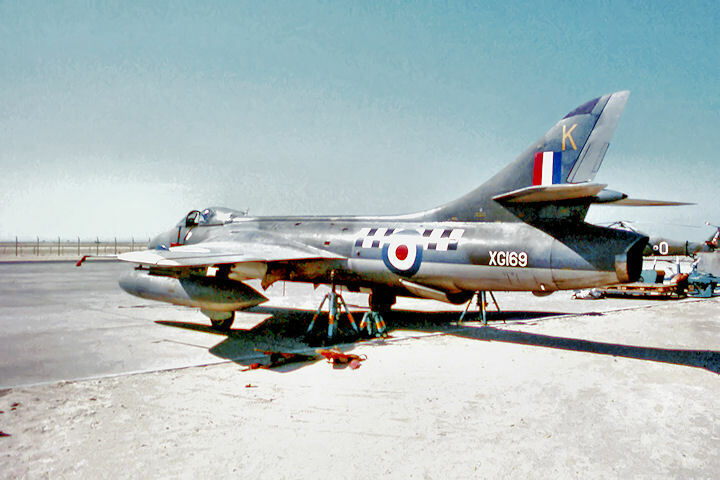 This is the aircraft that was destroyed by a terrorist bomb at Bahrain later in the year. 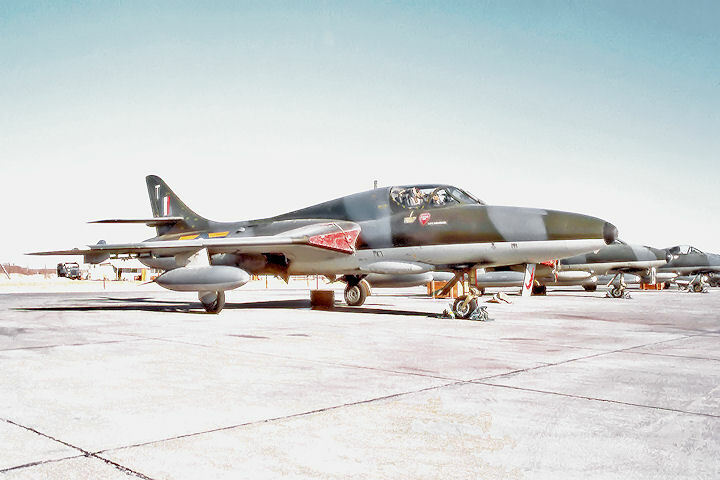 Within a year, MEC Hunter squadrons were able to undertake detachments to the station from Khormaksar and Bahrain. 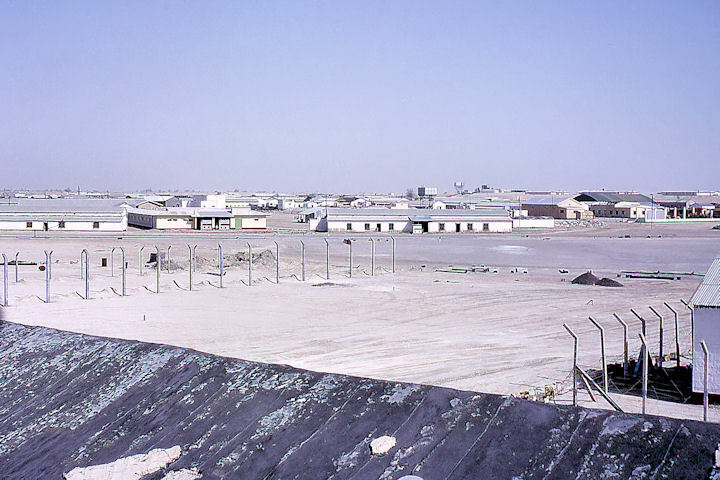 Having a closer proximity for operations in Oman and being a better location for carrying out training exercises, Masirah became a regular base for detachments of MEC Hunters and a selection of photographs are contained in the gallery below. 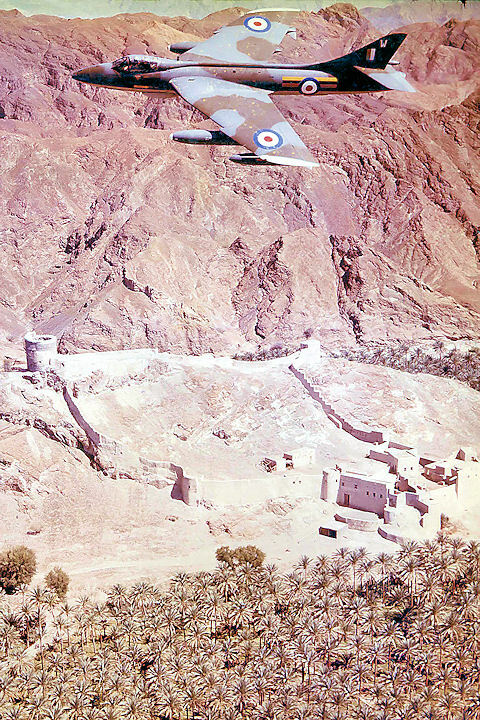 The officers are: John Thomson, John Sweet (OC Masirah), Roger Wilkins, a GLO, Alan Pollock, Phil Champniss (OC 43 Sqn), Ron Loader (EO) and Ron Burrows.